It would seem that most Moslems do not believe in Osama bin Laden and terrorism. But the US government wants you to think that Moslem terrorism is on the increase. The Simon Fraser University study points out that US government agencies have figures on terrorism which are wildly inaccurate. A US government-funded database of terrorism is the Memorial Institute for the Prevention of Terror (MIPT). The Simon Fraser study points out that US agencies count civilian casualties in Iraq as terrorism. In the MIPT data, Iraq accounts for 80% of all deaths counted. In the Congo in 1999, hundreds were killed by militia actions. The MIPT notes zero deaths that year from terrorism in the Congo. In other words, civilian casualties, in a war situation, do not seem to count as terrorism. If you leave aside the Iraq war, terrorism has gone way down over the past five years. The Simon Fraser study points to the "extraordinary drop in support for Islamist terror organizations in the Muslim world over the past five years." An ABC/BBC poll in Afghanistan in 2007 showed support for militants in the country to be 1 % . In Pakistan's North-West Frontier province, support for Osama bin Laden was 4 % in January 2008. The University of Maryland's Center for International Development and Conflict Management has documented a 54 % decline in the number of organizations using violence across the Middle East and North Africa between 1985 and 2004. So, who might the security services recruit as a terrorist? A mentally backward guy? Someone in prison for drug offences? "The Shah... helped spearhead the 1973-74 quadrupling of OPEC prices." "Of course (the world price of oil) is going to rise. Certainly! And how...; You (Western nations) increased the price of wheat you sell us by 300%, and the same for sugar and cement...; You buy our crude oil and sell it back to us, refined as petrochemicals, at a hundred times the price you've paid to us...; It's only fair that, from now on, you should pay more for oil. Let's say ten times more." The Shah met President Carter in Washington in November 1977. "Carter argued forcefully that an increase in oil prices would kick off a new round of inflation that would damage both oil consumers and producers. "The President's well-rehearsed presentation impressed the Shah, who agreed to go to Caracas committed to an oil-price freeze, a view also supported by Saudi Arabia. When interviewed on CBS 60 Minutes by reporter, Mike Wallace, the Shah criticized US Jews for their control over US media and finance. 1. In 1978, "negotiations were under way between the Shah's government and British Petroleum for renewal of the 25-year old extraction agreement. The Iranian Shah meeting with Alfred Atherton, William Sullivan, Cyrus Vance, President Carter, and Zbigniew Brzezinski, 1977. 2. "In November 1978, President Carter named the Bilderberg group's George Ball, another member of the Trilateral Commission, to head a special White House Iran task force under the National Security Council's Brzezinski. "Ball recommended that Washington drop support for the Shah of Iran and support the fundamentalistic Islamic opposition of Ayatollah Khomeini. Robert Bowie from the CIA was one of the lead 'case officers' in the new CIA-led coup against the man their covert actions had placed into power 25 years earlier. "Lewis argued that the West should encourage autonomous groups such as the Kurds, Armenians, Lebanese Maronites, Ethiopian Copts, Azerbaijani Turks, and so forth. The chaos would spread in what he termed an 'Arc of Crisis,' which would spill over into Muslim regions of the Soviet Union. "The coup against the Shah, like that against Mossadegh in 1953, was run by British and American intelligence..."
3. "Indications are that the actual planners of the Iranian Khomeini coup in London and within the senior ranks of the U.S. liberal establishment decided to keep President Carter largely ignorant of the policy and its ultimate objectives. The ensuing energy crisis in the United States was a major factor in bringing about Carter's defeat a year later." 4. "London was blackmailing and putting enormous economic pressure on the Shah's regime by refusing to buy Iranian oil production, taking only 3 million or so barrels daily of an agreed minimum of 5 million barrels per day. "This imposed dramatic revenue pressures on Iran, which provided the context in which religious discontent against the Shah could be fanned by trained agitators deployed by British and U.S. intelligence. In addition, strikes among oil workers at this critical juncture crippled Iranian oil production. "As Iran's domestic economic troubles grew, American 'security' advisers to the Shah's Savak secret police implemented a policy of ever more brutal repression, in a manner calculated to maximize popular antipathy to the Shah. At the same time, the Carter administration cynically began protesting abuses of 'human rights' under the Shah. "British Petroleum reportedly began to organize capital flight out of Iran, through its strong influence in Iran's financial and banking community. "The British Broadcasting Corporation's Persian-language broadcasts, with dozens of Persian-speaking BBC 'correspondents' sent into even the smallest village, drummed up hysteria against the Shah. 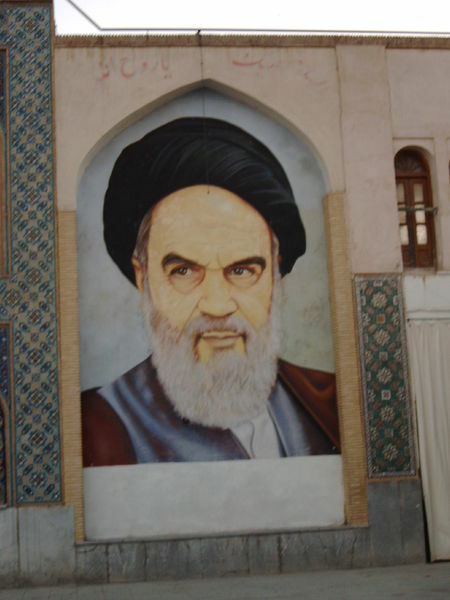 "The BBC gave Ayatollah Khomeini a full propaganda platform inside Iran during this time." According to the Shah, in his memoir Answer to History, General Robert Huyser, a top NATO official, came to Iran, unannounced, with the primary mission of paralyzing the Iranian the army. Reportedly, the CIA and MI6 toppled the Shah because he had become too much of a nationalist, like Nasser, and was not following instructions on oil. The Shah's nationalist policies worried the CIA and MI6. The Shah signed petroleum agreements with ENI, the Italian oil company. In 1963 the Shah pushed forward popular reforms known as the White Revolution. Opium production was ended. There was a nuclear programme. The Shah seemed like a nationalist Nasser and the Anglo-Americans wanted him out.